You’re welcome Anne…it was a great show! 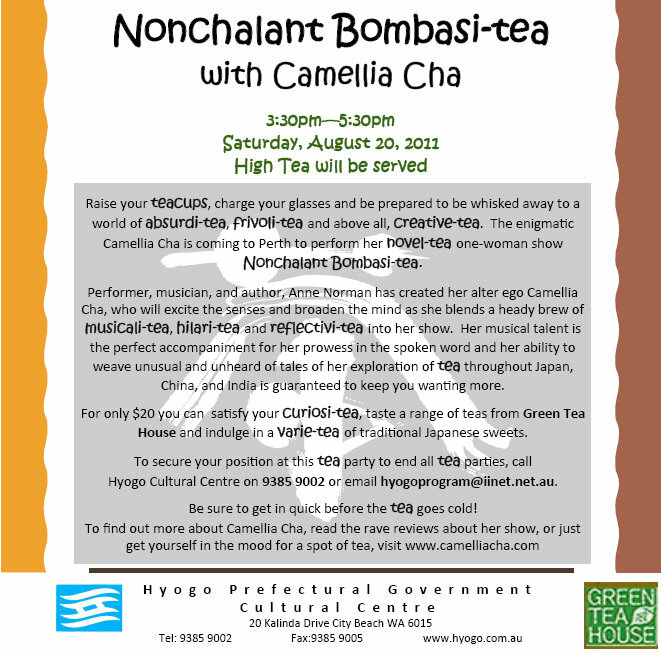 thank you for your blog post, and for coming to my show Nonchalant Bombasi-tea! I am sorry I didn’t get to meet you. I would love to catch-up one day. I have heard fabulous things about you.